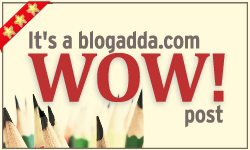 Day -3 of Blogathon. Posting this video. This is actually a set of photos which were taken as a Lioness tries to save her cub while putting her own life at stake. This is how Moms are. Mom’s love is unconditional. She takes care of even the smallest wish of her child but how much do we understand their needs. It is time now to do something for your mom too. Just pass on this link and help your Mom enjoy the joys of Internet. Here’s a beautiful ad on helping women get online.